This months Ipsy theme was called "Beach Beauty." I have been anticipating getting my July PopSugar box for over a month now. Overall I am fairly happy with this months box but I was anticipating more since it was their 1 year anniversary. 2) Hannahmax Dark Chocolate Crunchy Cookie Chips 2 oz. 4) Supergoop SPF 30+ City Sunscreen Serum With Uniprotect PT-3 1.7 oz. UPDATE: Looks like PopSugar is celebrating their anniversary in August. 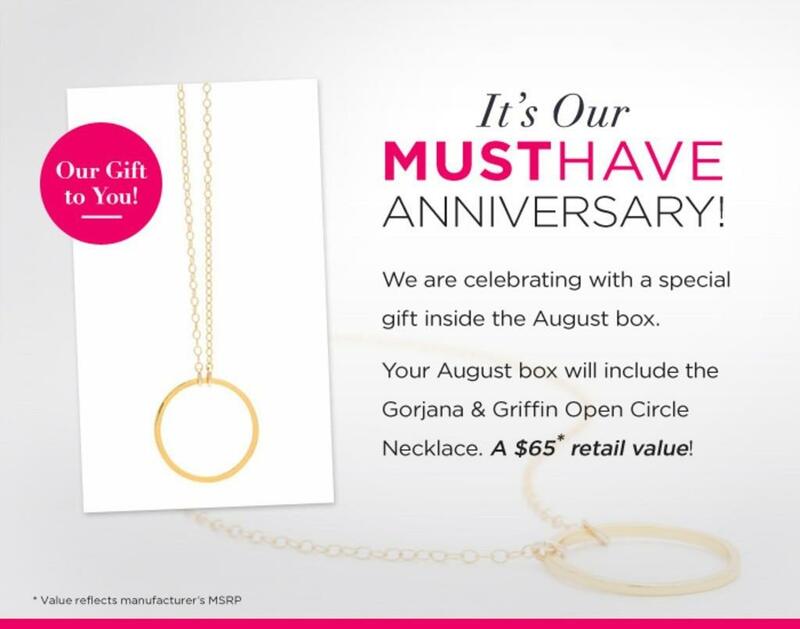 Here is a preview of a Gorjana & Griffin Open Circle necklace that will be included in the boxes.